There’s plenty to do in Newport, Rhode Island, year-round, but “America’s first resort” really swings into action starting Memorial Day weekend, through Labor Day. For example, you can spend a weekend sampling great chowder in Newport any time of year, but the Great Chowder Cook Off takes place June 1. You can plan a picnic and head for Brenton Point State Park to fly kites and enjoy the fabulous scenery and the Newport Kite Festival July 13 and 14. And, there’s the world famous Newport Jazz Festival August 2, 3, and 4. You can watch polo events and tennis tournaments, attend sailing regattas and find opportunities to go sailing yourself. Admittedly, when you arrive in Newport, you may feel like you somehow stepped out of your car and into a Ralph Lauren ad. The town is a haven for hot-pink and lime-green plaid shorts, deck shoes, and monogrammed sweaters. 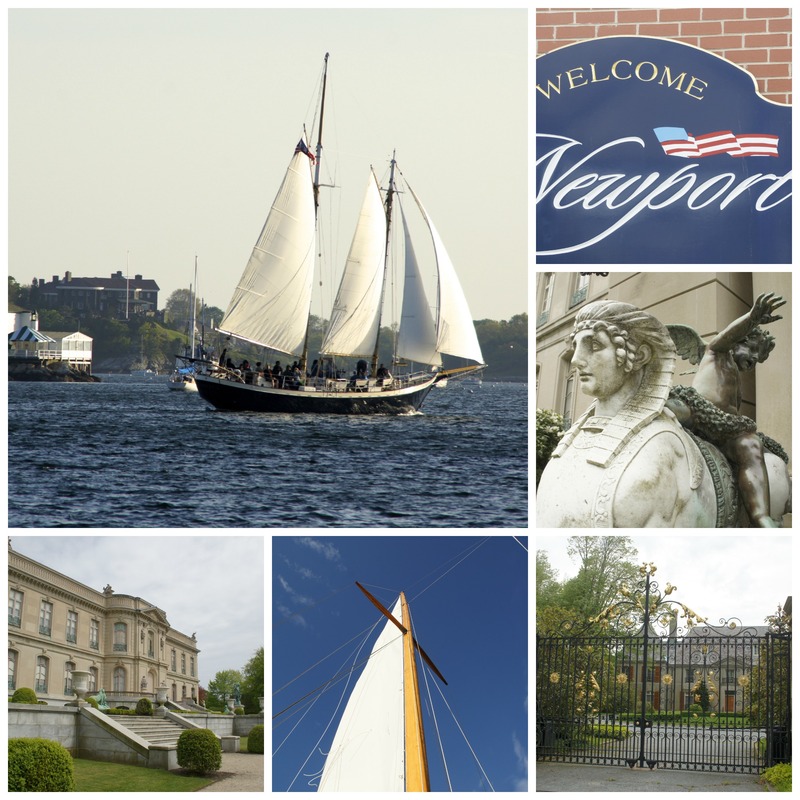 But, as you may have seen from a few of my previous posts (see “The American Stories Behind Downton Abbey,” “Gifts for Mom“) I really love Newport, because it offers activities for just about every taste, even if you’re not part of the preppie set. And, while modern-day events like those above abound, the town also offers a special chance to glimpse its Gilded Age history when you go “calling” at the fabulous mansions along Bellevue Avenue. To get in the mood for your Newport trip, be sure to read Edith Wharton’s The Buccaneers, Thornton Wilder’s Theophilus North, or non-fiction works such as Lucius Beebe’s The Big Spenders or Amanda Mackenzie Stuart’s Consuelo and Alva Vanderbilt: The Story of a Daughter and a Mother in the Gilded Age. You’ll also want to check out a blog I’ve found, The American Countess, which is written by someone even more intrigued with Gilded Age Newport than I.